Question: I know chocolate is considered a healthy snack, but are all kinds of chocolate healthy? 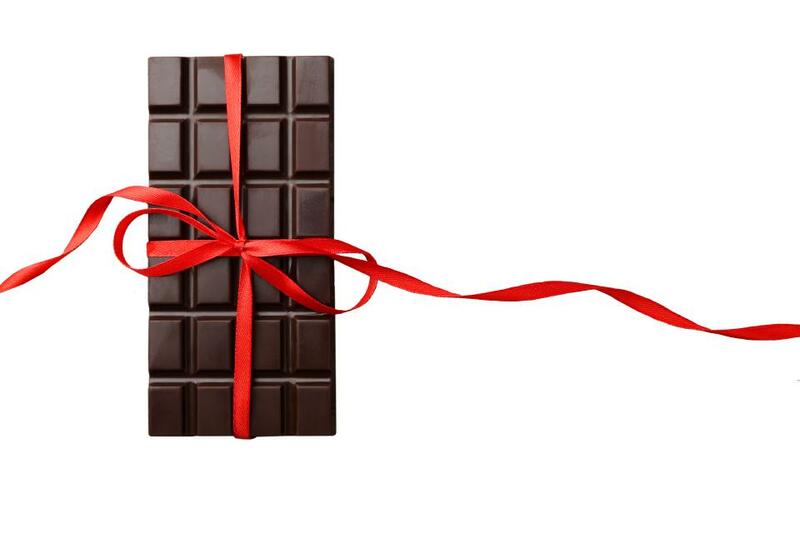 Answer: Chocolate has complex flavors, amazing mouthfeel and myriad phytochemicals, including polyphenolic compounds with antioxidant activity (Katz, Doughty & Ali 2011). It is linked to reduced risk of cardiovascular disease and type 2 diabetes and even improved mood (Mostofsky et al. 2017; Scholey & Owen 2014; Sorenson & Astrup 2011). The way chocolate is made does affect its phytochemical content and therefore its health benefits. Chocolate starts as cocoa fruit, which contains cocoa beans. The beans are fermented, dried and roasted, and then they are ground into a paste called cocoa liquor or cacao. To make the product we call chocolate, additional cocoa butter (the fat in cocoa liquor) is added to cacao, along with sugar and emulsifiers. Dark chocolate must contain at least 35% cacao (Katz, Doughty & Ali 2011). Milk chocolate, the form most frequently consumed in the U.S., is just 10%–12% cacao. White chocolate—containing no cacao—is made of cocoa butter, sugar, powdered or condensed milk, and flavorings like vanilla. The healthfulness of chocolate depends on the percentage of cacao and how the cacao was processed. Fermenting, drying and roasting can reduce polyphenol content to some extent (Di Mattia et al. 2017). In addition, cocoa powder that has been “Dutched,” or treated with alkali to reduce bitterness, is significantly lower in polyphenols than untreated cocoa powder (Katz, Doughty & Ali 2011). Some people question the healthfulness of cocoa butter, which is high in saturated fat, but it has a high proportion of stearic acid, which does not raise blood cholesterol in the way that other saturated fats do. When choosing chocolate for yourself or your Valentine, look for dark chocolate with a high percentage of cacao, and opt for cocoa powder that was not processed with alkali. Researchers have studied daily dark-chocolate portions in the range of 40–100 grams (about 1.5–3.5 ounces) (Scholey & Owen 2013; Di Mattia et al. 2017), but more research is needed to identify optimal amounts for providing health benefits without excessive sugar or calories. systematic review. Nutrition Reviews, 71 (10), 665-81. Sorensen, L.B., & Astrup, A. 2011. Eating dark and milk chocolate: A randomized crossover study on effects on appetite and energy intake. Nutrition and Diabetes, 1, e21.